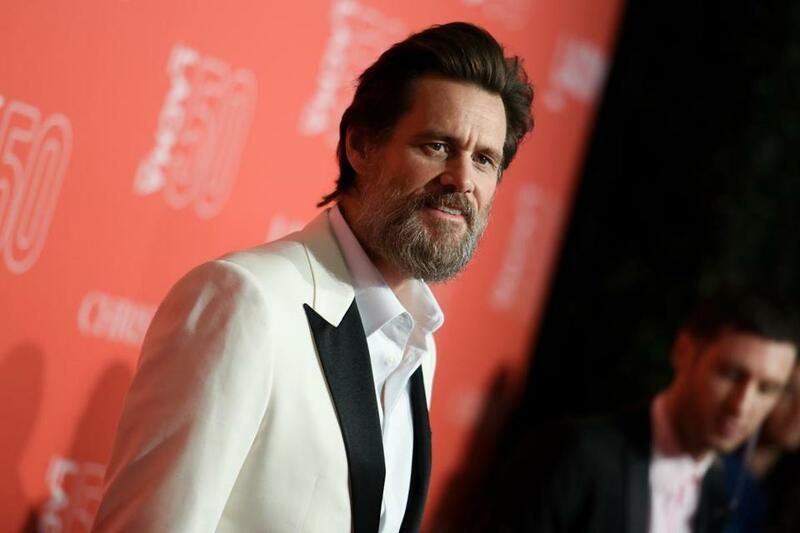 Jim Carrey slammed California Governor Jerry Brown on Twitter. A celebrity critic of vaccines and former partner of another star with an autistic child has taken to social media to denounce a new California law requiring most children be vaccinated. Jim Carrey dated Jenny McCarthy for about five years before they split in 2010. In 2005, McCarthy’s son Evan was diagnosed with autism; during their relationship and after their breakup, Carrey and McCarthy were vocal proponents of the discredited theory that vaccines and autism are linked. Carrey, it seems, is still a believer. He slammed California Gov. Jerry Brown (D) on Twitter for Brown’s decision to sign Senate Bill 277, which forces schoolchildren to be vaccinated regardless of their families’ religious or personal beliefs. 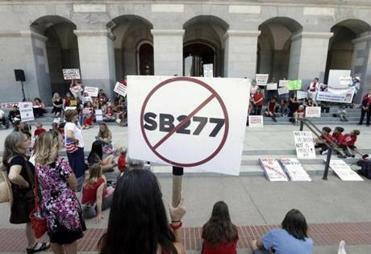 The bill strikes California’s personal belief exemption for immunizations, requiring nearly all public schoolchildren to be vaccinated. Read: Do celebrities do more harm than good when pushing health issues? Those who insist vaccines are dangerous or may cause autism drew ire in California earlier this year after a measles outbreak at Disneyland in Anaheim. As the measles spread to 17 states and the District of Columbia, arguments of anti-vaxxers seemed to shrivel in the face of, among others, a 7-year-old boy undergoing chemotherapy who, too ill to be vaccinated himself, explained the importance of herd immunity at a school board meeting. As vaccine critics, Carrey and McCarthy seemed unswayed by such arguments. Even after the work of Andrew Wakefield, the doctor who created the myth that vaccines cause autism, was discredited, Carrey and McCarthy stood by their man — and were pilloried for it. ‘‘What they’re really doing is irresponsibly using their disproportionately powerful media platform to spread misinformation about a condition for which there is no known cure, and rehabilitating the reputation of a doctor on whom history ought to turn the page,’’ Jim Edwards of Moneywatch wrote in 2010.